Instead of advocating for an endless slide of identities, Cablinasian works effectively as a marker of a racialized identity if its users momentarily stop its movement and claim identities, while retaining their original reflexivity. In two parallel arguments, cultural critics Stuart Hall (1996) and Candice Chuh (2003) advocate for an understanding of race as fiction, while simultaneously accepting the strategic "closure" of identity for political projects. This approach differs from conventional identity politics in its temporality. Rather than claim an essential, stable, and unitary community identity, these identities are contingent, flexible, and porous. Certainly, this transforms traditional notions of racial politics based on an unwavering allegiance to a particular racial identification, but it also makes for a more inclusive and descriptive rather than prescriptive politics. LeiLani Nishime, "The Case for Cablinasian: Multiracial Naming From Plessy to Tiger Woods," Communication Theory, Volume 22, Issue 1 (February 2012): 105. Is postraciality just around the corner? How realistic are the often-heard pronouncements that mixed-race identity is leading the United States to its postracial future? In his provocative analysis, Rainier Spencer illuminates the assumptions that multiracial ideology in fact shares with concepts of both white supremacy and antiblackness. Spencer links the mulatto past with the mulatto present in order to plumb the contours of the nation’s mulatto future. 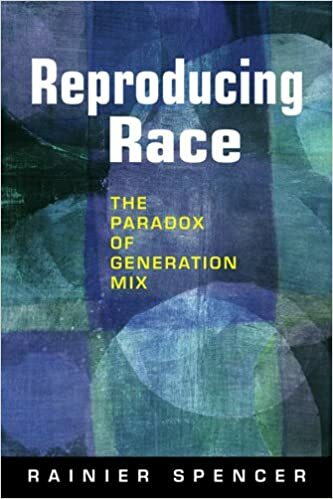 He argues cogently, and forcefully, that the deconstruction of race promised by the American Multiracial Identity Movement will remain an illusion of wishful thinking unless we truly address the racist baggage that serves tenaciously to conserve the present racial order. This entry was posted	on Wednesday, April 3rd, 2013 at 00:01Z	and is filed under Books, History, Identity Development/Psychology, Media Archive, Monographs, Politics/Public Policy, Social Science, United States. You can follow any responses to this entry through the RSS 2.0 feed. You can skip to the end and leave a response. Pinging is currently not allowed.